Very friendly staff, facilities are spotless and not a bad price. Great Manager and staff. Tidy and efficient, couldn't ask for better! Thanks Monique, great staff and services. I rented a 5x3 metre storage space for approx 7 1/2 months and found the facility adequate for my requirements with no issues experienced at all.Would recommend to anyone seeking extra storage space. Storage King Swanson Road is less than 10 minutes away from the main Henderson CBD. We understand how stressful it can be if you are planning to move. We can help with packing tips, removalists & how to make the most of your storage space. We will deliver your merchandise valued over $100 free within the local area. 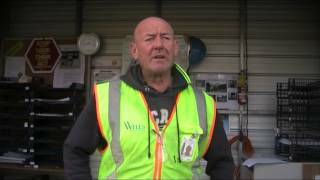 Storage King Swanson proudly services Henderson, Te Atatu South, Ranui and Sunnyvale.